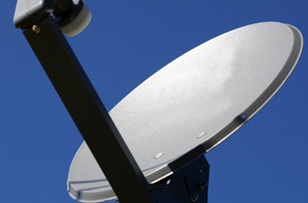 LOCAL, INDEPENDENT TV AERIAL & SATELLITE INSTALLATION & REPAIR SERVICES IN MAIDENHEAD TODAY. With a vast array of TV channels and radio stations to choose from, Ultra HD quality pictures and sharp sound, it’s clear to see the benefits that the digital revolution has brought to homes and workplaces in Maidenhead. And the number of digital aerials and satellite dishes that can be seen on homes and buildings all over town shows how popular the services are. Call us for help with satellite dish repairs and realignments following storm damage or high winds. Call us if you’re wanting a new satellite system installed and we’ll provide all the hardware and the skill needed to get it all working. Call us too, if your set-top box is playing up, or you need someone to talk you through the ins and outs of Sky-Q. Ever since the analogue days, weather has always affected aerials. Storms and winds can knock them off target and that can adversely affect your TV reception. The main thing to do is not be tempted to get up onto your roof and sort it yourself. Leave it to the experts like the Slough Aerials & Satellites team. On call 7 days a week, we’re the people to make sure that your NOWTV or Freeview or other digital TV service is working at its best. CCTV INSTALLATION MAIDENHEAD – Stay safe and secure at home and work with CCTV systems that keep an eye on things that you can’t. TV WALL MOUNTING SERVICES MAIDENHEAD - From clubs and bars that need several screens mounted on walls, to homes looking to get their smart TVs off tables and onto the walls, our experts have been there, done that. Whether you require your TV on a portable bracket or flush to the wall, we’re the people to call. AUDIO VISUAL SERVICES MAIDENHEAD – From integrated office systems to home cinemas, we have the expertise to make your AV visions a reality. MULTI-ROOM TV AERIAL INSTALLATIONS - Enjoy your digital TV service in the kitchen or one of the bedrooms as well as the lounge when you call us in to install the extra points you need to bring multi-room home. For our experience – we’ve been in the digital and satellite business ever since there’s been a digital and satellite business. No one knows more or cares more. For our value – great products installed by great people for a great value price. That’s Slough Aerials & Satellites in a nutshell. 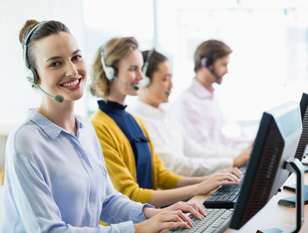 For our efficiency – our Same Day Service shows we always aim to answer calls fast, and our 95% same day job completion rate proves we’re good at what we do. For our independence – we’re our own bosses here at Slough Aerials & Satellites, so no one forces us to recommend one product or provider over another. For our determination to help: we hear plenty of stories about other companies refusing satellite installations or digital aerial repairs because of how high up or hard to reach dishes and aerials are. We’re not like that and are ready and willing to take on all jobs. So call us. 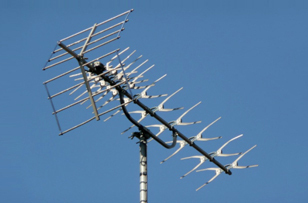 For the full range of TV aerial and satellite installation services in Maidenhead call us on 01628 439047.